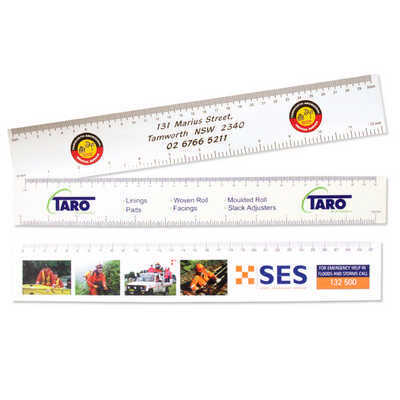 Our soon to expand range of rulers are?currently available in 2 base types. This is our low?cost bag filler laminated card. This product makes an excellent low cost?volume promotional tool. Colours: 4 Colour Process 1 side, Dimension: 310mm x 50mm. Price includes : 3 Day Service* 4 Colour Process - One Location. Setup is included.